I learned many things while I worked as an Intern for the US Senate. One is that every State in the Union has two statues in the US Capitol Building as a part of the National Statuary Hall Collection. For the State of Idaho, the two statues are of William Edgar Borah and George Laird Shoup. As an Intern one of my duties was to give tours of the US Capitol to constituents visiting Washington DC. For those from Idaho, I would always make sure to point out the two Idaho statues. Nearly everyone recognized William Borah who is a very famous Senator from Idaho and nicknamed "The Lion of Idaho." I was shocked how few knew who George Laird Shoup was. 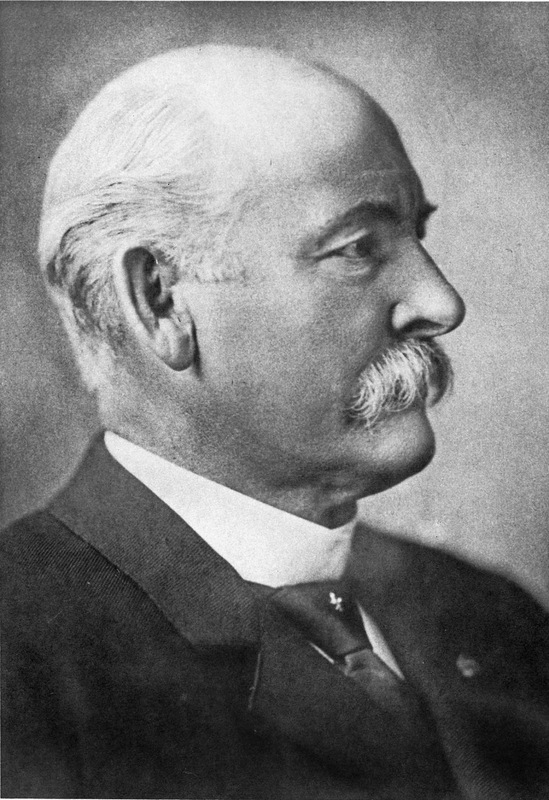 George L. Shoup was the last territorial Governor of the Territory of Idaho, the first Governor of the State of Idaho, and one of Idaho's first US Senators. George L. Shoup was born on June 15, 1836 in Kittanning (NE of Pittsburgh), PA. He moved with his parents in 1852 to Galesburg, IL, where his parents established a farm. Due to being financially devasted by the Panic of 1857 and the gold rush taking place there, George L. Shoup moved to the Colorado Territory in 1859. During the Civil War, he worked as an independent sout in the New Mexico Territory, Colorado Territory, and Texas. He was honorable discharged as a Colonel in December of 1864. After the war ended, Shoup moved to Virginia City in the Montana Territory before moving to Salmon in the Idaho Territory (a city he helped found). In Salmon he became a very successful businessman running a general store and raising cattle. He married Magdelena Darnutzer on June 15, 1868, and they had 3-sons and 3-daughters. He was appointed commissioner to organize Lemhi County in 1869. Three years later he was chosen to be serve as Superintendent of Schools for Lemhi County. In 1874, he was elected to the lower house of the territorial legislature. In 1878, he was elected to the upper house for the territorial legislature. He served as a delegate to the Republican National Convention in 1880 and served on the RNC from 1880 to 1884. In April of 1889, President Harrison appointed him as territorial governor. He held this position until July of 1890 when Idaho became a state. He was elected and served as the first Governor of the State of Idaho until November when he was elected by the Idaho Legislature to serve in the US Senate. He served until 1901 when he was defeated by Fred Dubois. After that he reitred from public life until his death on December 21, 1904, in Boise, ID, where he is buried. It was while in Colorado that he became a Mason. Records show that he was raised on July 13, 1864, in Denver Lodge #5. In addition to helping settle the city of Salmon, he also helped charter Lemhi Lodge #11 in Salmon, ID, in 1874 and which still exists today. He served as Worshipful Master of this Lodge in 1878. If being a territorial governor wasn’t enough, he also served as the Most Worshipful Grand Master of the Grand Lodge AF&AM of Idaho in 1889. He was also a member of Almas Shrine in Washington DC. "He stood forth a leader. He had only such education as he could secure in a few months in the common schools, but united with rare judgment, a perception almost intuitive, a keen, quick, unerring knowledge of men, a practical wisdom gathered during his long, active career in the school of life, he was a safe, trusted and able counselor in all matters of private and public concern." 2. Bollar, M. (2017). Proceedings of the Grand Lodge AF&AM of Idaho. Boise. Continuing from Part 1, this article will discuss those Freemasons who served as a Justice of the Supreme Court of the United States of America during the 19th century. There are sixteen Freemasons who served in this time and they are: John Marshall, Thomas Todd, Joseph Story, Robert Trimble, John McLean, Henry Baldwin, John Catron, Samuel Nelson, Levi Woodbury, Noah H. Swayne, David Davis, Stephen J. Field, John M. Harlan, William B. Woods, Stanley Matthews, and Samuel Blatchford. 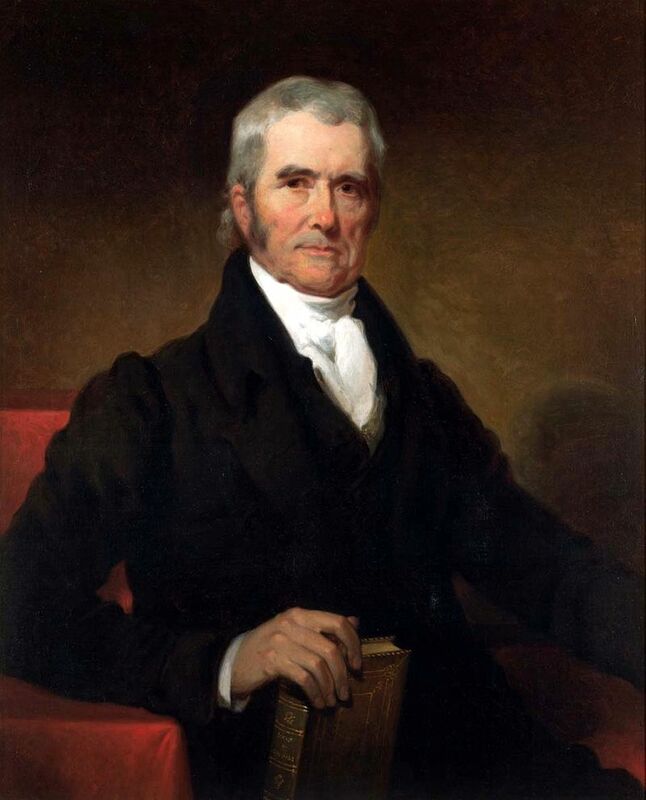 John Marshall was a lawyer who as a young man had little formal education, but read as much as he could before attending a 6-week course at William and Mary College, and then accepted to the bar. He joined the "Minute Men" after being inspired by Patrick Henry's memorable speech of "Give me Liberty or give me Death!" He enlisted along side his father and they both served at battles at Great Bridge, Norfolk, Valley Forge, Brandywine, Monmouth, Germantown, Stony Point, and Yorktown. After his military career was done, Marshall returned to the House of Burgesses, served in the US House of Representatives and as US Secretary of State before becoming Chief Justice of the US Supreme Court in 1801; he would serve as Chief Justice for 34-years and holds the record for longest serving Chief Justice. In this position, he ruled on several fundamental legal decisions that shape our nation even today. It is unsure exactly when he became a Mason, but many believe it was while at Valley Forge with General Washington. He is listed as a member of Richmond Lodge No.13 (today No.10), Richmond-Randolph Lodge No.19, as well as Richmond Chapter No.3 of Royal Arch Masons. He is never listed as serving as Worshipful Master of either those Lodges, but is listed as Grand Master of Masons of Virginia from 1793 to 1795. Thomas Todd is less known, but he served as an Associate Justice from 1807 to 1826. Born on January 23, 1765, Todd was the youngest of five children and was orphaned at a young age. He attended Liberty Hall Academy (now Washington and Lee University) and graduated at the age of 18. Afterward he worked to earn room and board and studied law at the same institution. After fighting in the Revolutionary War, Todd entered into a career as a lawyer in Danville, KY. 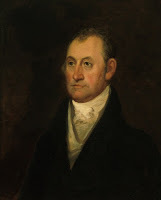 He was a key proponent for establishing Kentucky as a state and once the state was established was made clerk for the courts in Kentucky; he became judge of that court in 1801 and Chief Justice of the Kentucky Supreme Court in 1806. He was appointed by President Jefferson in 1807 to the US Supreme Court and served there for 19-years. In regards to Freemasonry, he was a member of Pittsylvania Lodge No.24 in Chatham, VA, and once he moved to Kentucky became a charter member of Lexington Lodge No.1. 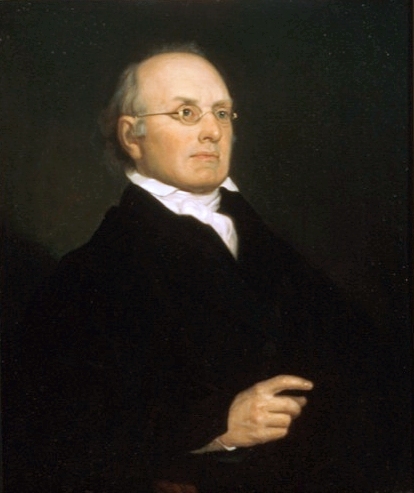 Born in the middle of the Revolutionary War, Joseph Story served as an Associate Justice from 1811 to 1845. He graduated Harvard in 1798 and started his own practice in 1801 where he established himself as a prominent member of the bar in New England. 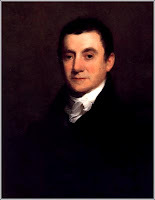 When he was confirmed as a Supreme Court Justice on November 18, 1811, he was only 32-years old. Story remains the youngest Supreme Court Justice at appointment. Here he found a congenial home for the brilliance of his scholarship and the development and expression of his political philosophy. Soon after Story's appointment, the Supreme Court began to bring out into plain view the powers which the United States Constitution had given it over state courts and state legislation. Chief Justice John Marshall led this effort, but Story had a very large share in the remarkable decisions and opinions issued from 1812 until 1832. For instance, Story wrote the opinion for a unanimous court in Martin v. Hunter's Lessee following Marshall's recusal. He built up the department of admiralty law in the United States federal courts; he devoted much attention to equity jurisprudence and the department of patent law. He was an opponent of slavery and his 1841 opinion in the US v The Amistad is still remembered today. In 1829, he became the first Dane Professor of Law at Harvard University. 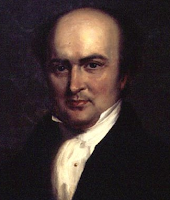 He both taught law and served as a Supreme Court Justice until his death on September 10, 1845. He was a member of Philanthropic Lodge in Marblehead, MA. Robert Trimble was born in Virginia in 1777, but raised and lived in Kentucky where he was largely self-educated and, after studying law in Lebanon, OH, began to practice law in 1803 in Paris, KY. He served one term in the Kentucky House of Representatives, but didn't enjoy the political environment and refused to take any further elections to public office. He was better suited for law and was known for his fairness and sound judgment. 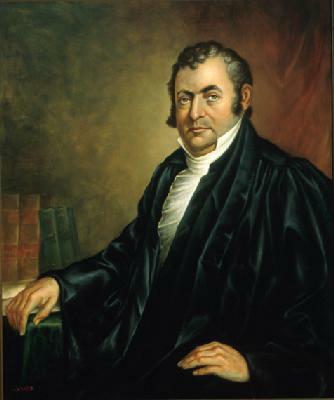 He became a Judge on the Kentucky Court of Appeals in 1808, Chief Justice of the Kentucky Supreme Court in 1810, US District Attorney in 1813, Federal Judge of Kentucky in 1816, and then became an Associate Justice of the Supreme Court in 1826. He is listed as a Past Master of Union Lodge No.16 in Paris, KY, where he was initiated on December 27, 1808, passed on January 21, 1809, and raised on August 2, 1809. His life was cut short due to illness and died on August 25, 1828. John McLean was quite the traveler as he was born in NJ in 1785 and by the age of 14 he had lived in Virginia, Kentucky, and finally settling in Ohio. He studied law in Cincinatti and practiced law for 5-years in Lebanon, OH, until hew as elected as a member of the US House of Representatives in 1812 where he served for 3-years. In 1815 he was elected to the Ohio Supreme Court. In 1822 he was appointed by President Monroe as Commissioner of the General Land Office and then the next year was appointed Postmaster General where he remained until 1829. In that year he was nominated and confirmed as an Associated Justice for the US Supreme Court where he served until his death on April 4, 1861. He is listed as a member of Columbus Lodge No.30 in Ohio. for Alexander Dallas, a Philadelphia attorney. Baldwin was admitted to the bar in 1801 where he began work as Deputy Attorney General in Meadville, PA. To help further the Jeffersonian Party agenda, he moved to Pittsburg where political tensions were often so intense that they were often resolved with duels, one of which almost resulted in Baldwin's death. He was elected to the US House of Representatives in 1816. During his three terms in office, he became known as a staunch supporter of Andrew Jackson. He resigned in 1822 due to health reasons and would not resume a federal position until he was nominated and confirmed to the US Supreme Court in 1830 by President Andrew Jackson. His time on the bench was marked aggressive opposition to the decisions of his fellow Justices. He served until his death on April, 21, 1844, in Philadelphia, PA. Little is known about his Masonic history, but what is known is that he served as Worshipful Master of Lodge No.45 in Pittsburgh, PA, in 1805. Lodge No.45 is the "oldest continuously operating Masonic Lodge in the United States west of the Appalachian Mountains." John Catron is quite the paradox: he opposed secession, but supported slavery and states' rights. He was born in 1786 in Philadelphia, PA. He served in the Army and was involved the New Orleans campaign during the War of 1812. Once he was done with the war, he moved to Nashville, TN, to practice law. In 1824, he was appointed as a Judge on the Kentucky Supreme Court of Error and Appeals and becoming its first Chief Justice in 1830. He became an Associate Justice of the US Supreme Court in 1837, a tumultuous time before the Civil war. 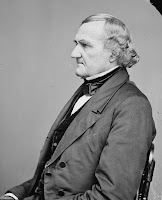 His appointment occurred just after the Judiciary Act of 1837 when the Supreme Court was temporarily expanded from seven to nine members on the bench. 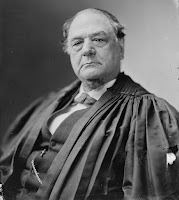 He served on the Supreme Court until May 30, 1865, when he died. He is listed as a member of Cumberland Lodge No.8 in Nashville. Samuel Nelson, in comparison to some of his fellow Justices and Brothers, led quite the uncontroversial life on the bench. Nelson was born on November 10, 1792, in Hebron, NY (eastern central NY; near the Vermont border), to farmers. He wenet to Vermont for college, but would eventually move back to NY (Cortland) where he set up a private practice around 1817. In 1820, he was appointed Postmaster and also served as a Presidential Elector that year for the Democratic-Republican Party. In 1823, Nelson was appointied to the 6th Circuit Court of New York. He was appointed as an Associate Justice on the Supreme Court of the State of NY in 1831. He would later serve as Chief Justice of this court from 1837 to 1845. He was remembered on this court as being no nonsense and logical in his decision and opinions which made him a safe choice for a nomination to the Supreme Court of the United States of America by President John Tyler. Samuel Nelson was confirmed on February 14, 1845. He was known for not wanting to rock the boat and that is seen during the Civil War when he often voted along with the majority. He did speak up against President Lincoln during the Prize cases and criticized some of the Union's actions during the Civil War, but as he was so highly regarded, he was still asked to serve the government in various capacities aside from the Supreme Court; an example is when he served on the 1871 Alabama Claims Commission after the Civil War. He retired from the Supreme Court on November 28, 1872, where he moved back to New York and enjoyed the remaining year of his life. He died of old age on December 13, 1873. He is listed as a member of Solomon's Lodge in New York. While not listed in 10,000 Famous Freemasons, Levi Woodbury is listed as a Freemason on the Masonic Info website (his specific Masonic information is unknown). Woodbury served the United States in a number of offices including Governor of New Hampsire, US Senator, Secretary of the US Navy, Secretary of the Treasury, and Supreme Court Justice. He was born on December 2, 1789, to a family who traced their lineage back to the Puritan settlers on the American continent. He graduated from Dartmouth in 1809 before heading to law school, but he did not enjoy the academic environment so he decided to learn law as an apprentice. He was admitted to the bar in 1812 and opened a practice in Francestown, NH. He aligned himself with the new Jeffersonian Republican Party where he took on leadership roles. He would go on to be a state Senate clerk before serving on New Hampshire's Superior Court. Starting in 1823, he served for one term as Governor before being defeated. He then went on to serve in the New Hampshire House of Representatives where he would serve as Speaker of the House until 1825 when he was elected to the US Senate. He represented New Hampshire in the Senate until he was appointed, by President Andrew Jackson, as Secretary of the Navy. 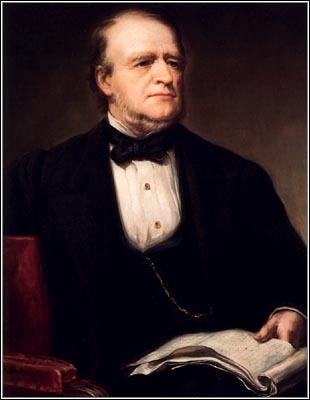 President Van Buren then appointed him Secretary of the Treasury. 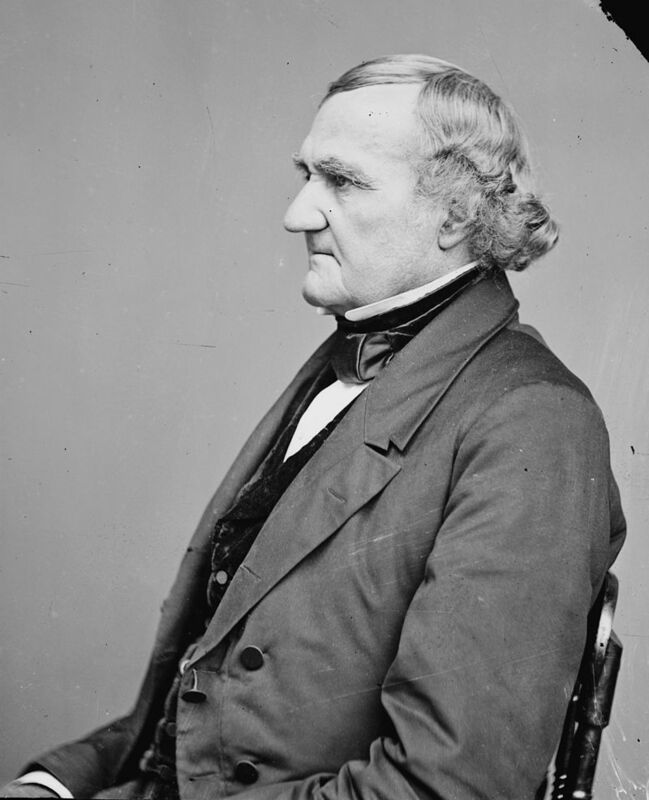 When President Harrison took office, Woodbury returned to serving as a US Senator. 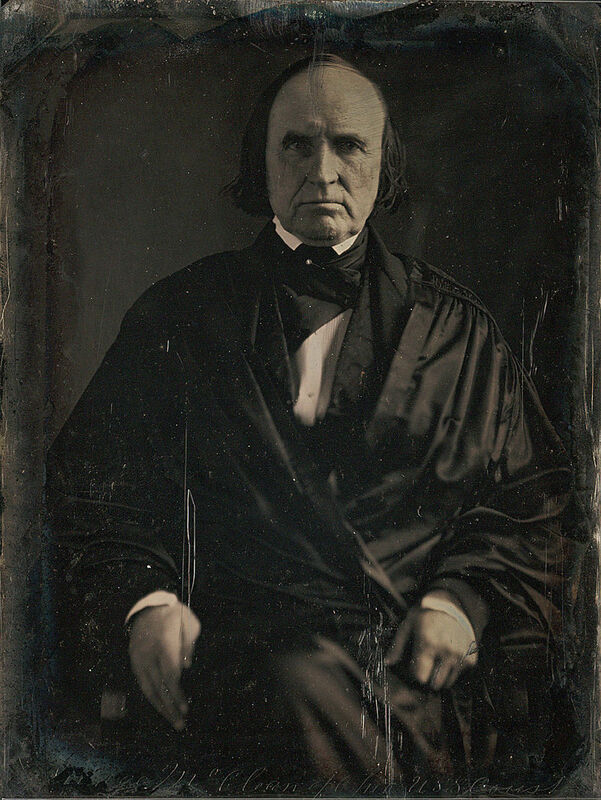 Once President Polk took office, Woodbury was nominated and confirmed to the Supreme Court where he served until his sudden death on September 4, 1851. 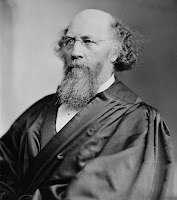 Noah Swayne was the first of Lincoln's five appointed Justices and the first Republican appointed to the Supreme Court. Swayne was born on December 7, 1804 and raised in Frederick County, VA. At the age of 19, being so opposed to slavery, he moved to Coshocton, OH, where he would serve as a prosecuting attorney, state legislator, and US District Attorney. Due to his pro-Union and anti-slavery stances, he was a great candidate for Lincoln to nominate when a vacancy occurred in the Supreme Court by the death of Justice John McLean. He served until January 24, 1881, when he resigned due to complications of old age. He died on June 8, 1884, in New York City. Swayne had joined Clinton Lodge No.96 in 1827, but in 1841 affiliated with Columbus Lodge No.30. While remembered as a Supreme Court Justice, David Davis is also remembered a close friend as Abraham Lincoln. Born on March 9, 1815, in Sassafras Neck, MD. He graduated from Yale University in 1835 and moved to Bloomington, IL, to practice law. 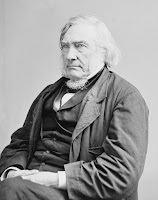 He started serving as a member of the Illinois House of Representatives in 1845 and served until his appointment to the Illinois Eighth Circuit Court in 1848. It was during his time in the House that he met Abraham Lincoln. 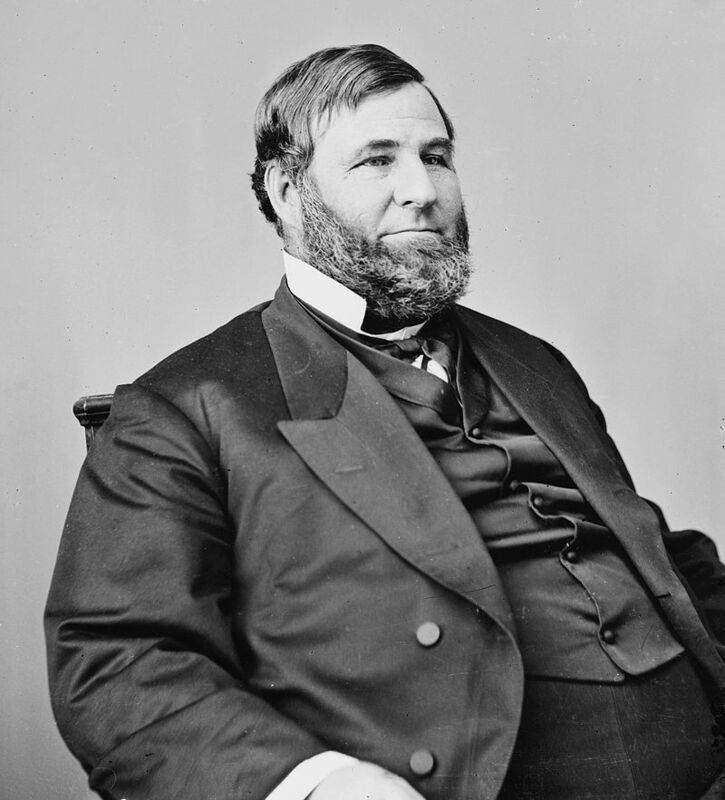 Davis served as Lincoln's campaign manager in 1860 and in turn President Lincoln nominated Davis to the Supreme Court; Lincoln had tried cases before Davis when he was a judge in Illinois. He was confirmed on October 17, 1862, and served in that position until 1877 when he desired to take part in more partisan politics. He was elected as a US Senator from Illinois in 1877 and served in that position until 1883. After that one term he retired from public life and died on June 26, 1886. Davis is listed in 10,000 Famous Freemasons as having been buried with Masonic ceremonies in Bloomington, IL, but there are no other sources that show him having been a Mason. Born on November 4, 1816, in Haddam, CT, Stephen J. Field, was the sixth child of nine. He lived quite an extraordinary life which included traveling to Turkey as a teenager. He attended Williams College where he helped found the Delta Upsilon fraternity. After school, he practiced law with his brother David until 1848 when he traveled to California during the gold rush. Due to his success as a lawyer, he was elected as alcalde (a magistrate or mayor in Spanish towns) of Marysville. In 1850 he was elected to the California State Assembly. After an unsuccessful Senate run, he was elected in 1857 to the California Supreme Court where he was would rise to Chief Justice in 1859. In 1863, the number of US Supreme Court Justices was expanded to 10 and Fields was appointed by Lincoln to fill that position. He holds the record as second longest serving Associate Justice and wrote 544 opinions while serving on the bench. 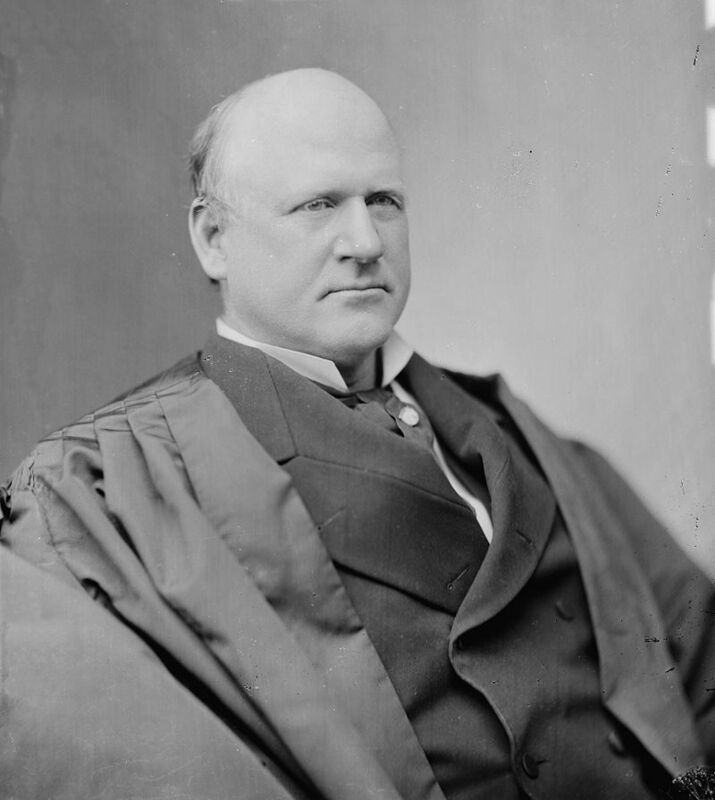 He served as an Associate Justice until 1897 when he resigned. He died on April 9, 1899, in Washington DC. He is listed as a life member of Corinthian-Hammonton Lodge No.9 in Marysville, CA. Born to a civic-minded family, John M. Harlan served as a Colonel of the 10th Kentucky Infantry for the Union during the Civil War, Adjutant General of Kentucky, Attorney General of Kentucky, and Associate Justice for the US Supreme Court. He attended Centre College and then law school at Transylvania University in Lexington. After graduating, he worked at his father's law office. Though a slaveholder, he stayed loyal to the Union during the Civil War. He was a driving force behind the nomination of Rutherford B. Hayes as President and it was this President who nominated Harlan to the Supreme Court. He is listed in the proceedings of the Grand Lodge of Kentucky from 1858 to 1867 as a member of Hiram Lodge No.4 in Frankfurt, KY. Though born and raised in Ohio, William B. Woods would later move to Alabama and he would be the first appointment from a Confederate state since 1853. After graduating from Yale in 1845 he returned to Newark and practiced law. In 1856, he was elected as Mayor of Newark and 2-years later he was elected to the Ohio General Assembly where he served as Speaker of the House and Minority Leader. In 1862, he left the political life to join the Union Army. He was commissioned as a Lieutenant Colonel of the 76th Ohio Infantry. Due to his service he was promoted to the rank of Brevet Brigadier General and later Brevet Major General. A brevet rank is given as a reward for meritorious conduct, but does not bestow the authority or pay of the real rank. He took part in many battles and campaigns including Sherman's March to the Sea. He was promoted to full Brigadier General in early 1865, but would only serve for another year. He didn't return to Ohio, but moved to Mobile, AL, and then to Montgomery, AL, where he started practicing law and cotton planter. He would serve as Chancellor of the Middle Chancery Division of Alabama from 1868 to 1869 before being appointed by President Grant to the 5th Circuit Court on December 22, 1869, where he served for eleven years. He was appointed to the Supreme Court on December 21, 1880, by President Hayes where he would serve until his death on May 14, 1887. He is listed as a member of Newark Lodge No.69 in Ohio. Another Ohioan, Thomas Stanley Matthews (went by Stanley) was another appointment by President Hayes to the Supreme Court. He was born in Cincinnati on July 21, 1824, and was considered a wunderkind, having graduated from Kenyon College (Gambier, OH) by age of 16. He moved to Maury County, TN, where he was admitted to the bar at the age of 18 and practiced law until 1845 where he then moved back to Cincinnati. He became an Assistant Editor of the Cincinnati Herald, the first daily anti-slavery paper in that city. He would go on to serve as Judge of Common Pleas, Ohio State Senator (1856 - 1858), and US Attorney for the Southern District of Ohio (1858 - 1861). Then with the onset of the Civil War, Matthews took a commission as a Lieutenant Colonel in the 23rd Ohio Regiment. He took part in many battles, but resigned his commission as a Colonel in 1863. He was elected in March of 1876 to the US Senate to fill a vacancy after the resignation of John Sherman. 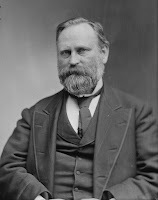 President Hayes' initiatial nomination of Matthews failed because the Senate accused Hayes of cronyism; Hayes and Matthews attended Kenyon College together, both practiced law in Cincinnati, and both serve as officers in the Ohio Infantry. President Garfield renominated Matthews and he was narrowly approved on May 12, 1881. He would serve as an Associate Justice until his death on March 22, 1889. He is listed as a member of Cincinnati Lodge No.133 in Cincinnati, OH, where he is listed as receiving degrees on January 28, 1847, and on March 11, 1847, but took a demit on November 27, 1856. Samuel Blatchford was born on March 9, 1820, in New York City. He entered into Columbia College at the age of 13 and graduated top of his class. By the age of 19, he became the private and military Secretary to Governor William Seward, and served in that capacity until 1843. Having been admitted to the bar in 1842, Blatchford practiced law in Auburn, NY, with former Governor Seward. 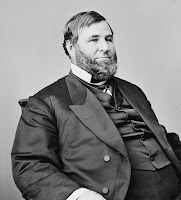 In 1854, he moved back to New York City where he served as a reporter of decisions for the Circuit Court in New York as well as practiced law in admiralty and international law. From 1867 to 1878, he served as a Judge of the United States District Court for the Southern District of New York. 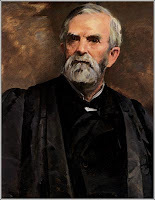 In 1878, he served as a Judge of the United States Circuit Court for the Second Circuit. He was appointed by President Arthur to the US Supreme Court in 1882 and served for eleven years as an Associate Justice. He is listed as a member of Manhattan Lodge No.62. 5. Denslow, W. R. (1957). 10,000 Famous Freemasons, Vol. 1. Retrieved from Phoenix Masonry: http://www.phoenixmasonry.org/10,000_famous_freemasons/Volume_1_A_to_D.htm 4. 6. Denslow, W. R. (1957). 10,000 Famous Freemasons, Vol. 2. Retrieved from Phoenix Masonry: http://www.phoenixmasonry.org/10,000_famous_freemasons/Volume_2_E_to_J.htm 5. 7. Denslow, W. R. (1957). 10,000 Famous Freemasons, Vol. 3. Retrieved from Phoenix Masonry: http://www.phoenixmasonry.org/10,000_famous_freemasons/Volume_3_K_to_P.htm 6. 8. Denslow, W. R. (1957). 10,000 Famous Freemasons, Vol. 4. Retrieved from Phoenix Masonry: http://www.phoenixmasonry.org/10,000_famous_freemasons/Volume_4_Q_to_Z.htm 7. In Bordeaux, an influential Masonic center in France, was established a "Scottish Lodge" which had a set of "advanced degrees." In 1761, Masonic authorities granted a patent to Stephen Morin, a resident of Bordeaux, to spread the degrees across the Atlantic to the American colonies. In 1763, Morin was established in the West Indies. The degree system he established was one of 25-degrees and were known as the "Rite of Perfection." In 1767, Henry Francken, a Dutch merchant, organized a "Lodge of Perfection" in Albany, NY. Prior to his time in the colonies, he had been to the West Indies and had been deputized by Morin. In addition to creating this body in Albany, he transcribed four times all of his degrees into books which are referred to as the "Francken Manuscripts", from the 4° (Secret Master) to the 25° (Royal Secret or Knights of St. Andrews-the faithful guardians of the Sacred Treasure). The years following other deputies were appointed by Morin which organized Masonic groups and conferred these "advanced or higher degrees" along the colonies. These groups were decentralized and independent of one another, but all agreed upon the authority they had received from Stephen Morin. It wasn't until May 31, 1801, that a central authority was set up which was called "the Supreme Council of the Thirty-third degree for the United States of America" in Charleston, South Carolina. This Supreme Council sought to create "Order out of Chaos" (it's motto). With this creation, it added eight more degrees ending with the 33°. Today the headquarters is in Washington DC at the well known House of the Temple. In 1819, Prince Augustus Frederick, the Duke of Sussex, received a patent from the US to form a Supreme Council in England, but this was not accomplished until 1845 when the Supreme Council for England and Wales received a patent from Supreme Council of the Northern Masonic Jurisdiction. 18° - Knight of the Pelican and Eagle and Sovereign Prince Rose Croix H.R.D.M. The basic organizational unit is known as "Rose Croix Chapter" and is where the business meetings are held. The Rose Croix Chapter is composed of the follwoing officers. Chapters are grouped into Districts who are governed by an "Inspector General of a District." Districts then fall under the governance of the Supreme Council. The Supreme Council is composed of only nine Sovereign Grand Inspectors General rather than the thirty-three of the Supreme Councils in the US. This Supreme Council has over 900 Rose Croix Chapters and Districts in 25 different countries. A Rose Croix Chapter only communicates the 4° through the 14° while the 15° through the 17° are conferred in a shortened form before conferring the 18° in full form. The 18°'s "Ceremony of Perfection" is divided into 4-sections and are said to be "most imposing and impressive." It is meant to represent man's journey from darkness to light and the recovery of the Lost Word. Progress beyond the 18° cannot be attained without having served as Most Wise Sovereign of a Rose Croix Chapter. The 19° through the 29° is communicated to the candidate before going through the 30°. The 30° draws upon the philsophical interpretations of the Masonic system and they are pledged to figuratively punish crime and protect innocence. The 30° Kadosh is considered Templar in nature. In the 31°, one is charged to oversee the observation of Masonic laws, and in the course of his induction is introduced to representatives of great lawgivers of the past. One is advanced to this degree in recognition of service rendered to the Order over a lengthy period of time. The 32° "counsels charity and tolerance towards all mankind. This is exemplified by a symbolic pilgrimage in search of truth, when the candidate is conducted around the Camp of Chivalry where the respective points mark the renowned philosophies or religions of the world. Here, within the Consistory, is hidden a mystery of great import and where its true interpretation, the Royal Secret, is to be found. Only those who have merited additional recognition following long or active service to the Order can attain this degree." The 33° is considered the "supreme degree" of the Rite that "incorporates a most impressive ceremony in which the candidate is required to endure a test demanding great courage, which is followed by a lengthy obligation, a fitting climax being attained when he is solemnly cemented to the Order with a golden ring of special significance. His particular duty entails the encouragement of charity and fraternal love throughout the Order, and the preservation with due reverence of the dogmas, statutes and doctrines of the Rite. This, the ultimate degree of the Rite, is only conferred upon members of the Supreme Council, Inspectors General of Districts, and other distinguished members of the Order." 2. Jackson, K. B. (2012). Beyond the Craft (6th ed.). Lewis Masonic.